On Wednesday, September 24th, a 2013 Academy of Art University Graduate with a BFA in Fashion Merchandising, Chelsea Looby and College Recruiter Bert Stewart came and talked to a group of merchandising students at the Academy of Art University about internship opportunities available to them through their company, Ross- the largest off price apparel and home fashion store in the United States. Chelsea, a former student, was able to give first hand knowledge of just how beneficial taking advantage of this opportunity can be. 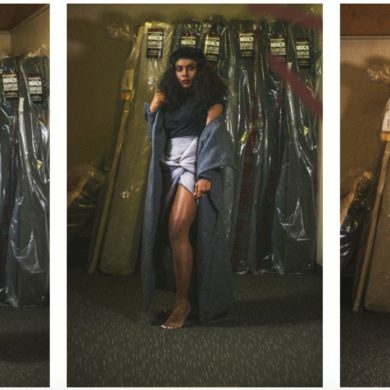 Chelsea Looby graduated just last year from The Academy of Art University and is already an Assistant Buyer for the Juniors and Impulse handbag divisions for Ross. Not only does she have a great title but she also loves the company that she works for. She led a talk with current merchandising students about what it is like to be a buyer and the skills needed for the job. Her and Bert, the College Recruiter, were extremely engaging and happily answered questions from students throughout the entire discussion. Chelsea brought in merchandise from Ross that did or did not do well in her department and she explained why. She spoke about the Ross customer and how it’s important to keep their preferences in mind and even though it may not something she would want to buy, a buyer learns very quickly they need to appeal to their customer rather than themselves. “I do not like that bag, but the Ross girl will love it!” Chelsea told the class as she held up an Impulse handbag to the class, which ended up being a great seller for the store. This is how a real buyer decides what to put in the store and what to hold off on. Chelsea told students personal style needs to be put on the back burner when performing her duties as a buyer. She showed a cross body bag in cobalt blue that was supposed to be the hot color of the season, but the bag just wasn’t selling. After a price adjustment, it did much better. The lesson that she took from that was it wasn’t a bad buy, it was just that the Ross customer is willing to spend more on neutrals and less on trendier colors. Price adjusting and knowing what the customer wants and at what price is a skill that Chelsea has quickly learned through experience. It’s all about learning from your mistakes and “being a student of your business”; which seems to be the motto for Ross’ buying department. Already successful in her career, Chelsea’s words of advice were for students to network as much as possible because sometimes it really is about who you know. She also highly encourages internships. She made an excellent point about how while you are interviewing for a position during an internship, it’s also a good way for you to interview companies to see what you like and what you don’t. For specific advice on becoming a buyer, she said take a position where you can get real life experience in the buying department- even if it’s not a product you like. She worked for an outdoor company and at first she wasn’t all that happy about it because it wasn’t what she liked but she said the experience was worth it and helped get her to where she is today. Chelsea, newly graduated and new to the company, was very open about how supported she felt by the Ross team. She talked about how the company encourages them to stand up for what they believe in. Having a strong voice is a valued attribute at Ross, and so is being self critical. In order to succeed at Ross, you need analytical ability and willingness to speak up. If these traits describe you or you are interested in learning more about the company and internships that are available, check them out! The Buying/Planning Internship is a paid opportunity over the summer that is available for students graduating between December 2015-August 2015. The internships are available in LA and New York City- they even assist with finding housing! 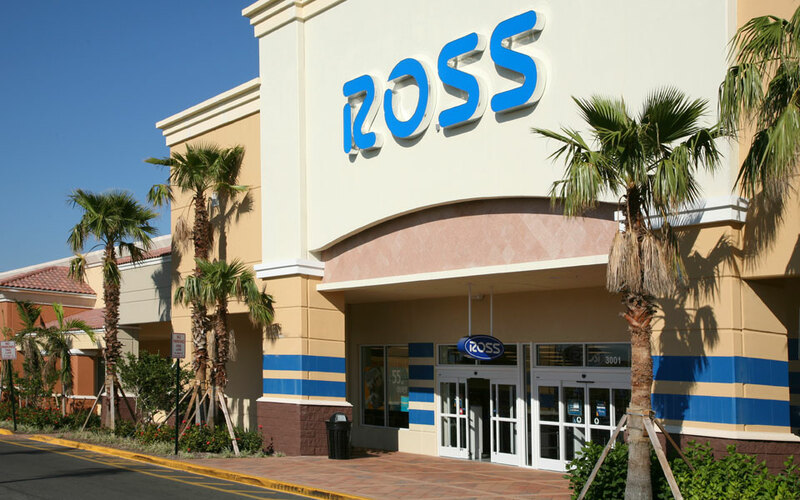 The Ross internships are extremely beneficial; through this internship real life experience will be gained with an opportunity for a full time job offer once the internship is completed. Out of the 125 interns last year, 82 received full time offers. Ross is extremely receptive to interns and young talent. When asked about the average time it takes to move up in the company, both Chelsea and Ben agreed that the average path from assistant buyer to buyer is generally 4-8 years. With a Ross internship, you could hold the title of buyer by 30! “I graduated in May of 2013 and I started working full-time at Ross as an Assistant Buyer a month later in June. I had interned for Ross in the summer of 2012 and was offered a position upon completion of the internship. I knew my entire senior year at AAU that I had a job waiting for me after graduating, which really let me enjoy my final year without the stress and pressure of worrying about what happens after school.” -Chelsea Looby, 2013 BFA Fashion Merchandising. If this seems like something you would at all be interested in, the time to strike is now! They are accepting applications now and will continue to accept them until all the slots are full. The first step is to apply, for more information visit here. If you begin the application process now, the decision is usually made around the holidays, and what a great way to celebrate! You won’t have to stress the rest of the year about what you’re going to do for a summer job. The internship begins June 8th, 2015. If becoming a buyer is something you are interested in or think you might be- this opportunity is not to be missed! Previous Join Us for a Beyond the Front Row Halloween Event!